Bengal Beauty from East Pacific Tea Co.
A delightful Darjeeling from the rich soils of the Indian mountains. The subtle taste and delicate scent of this rare tea makes it one of India’s best kept secrets. This is a most unusual Darjeeling. And when I say unusual, I mean that in the very best way possible. This tea is sublime! I don’t recall ever encountering a Darjeeling tea that was categorized as a white leaf. The dry leaves themselves are very unusual, and at first glance I would have never guessed that these were Darjeeling tea leaves. Some variation of golden Yunnan, perhaps. Or maybe some twisted variation of the Silver Needle. The leaves possess the green/brown color like a Darjeeling, but the colors are much lighter than usual, and they have tips – silvery, fuzzy tips! But the taste – oh yes! That is Darjeeling! A delicious, delightful Darjeeling. The flavor is light, crisp and refreshing. These are all typical traits of a good quality Darjeeling tea, but, this one is just a little lighter. Just a little crisper. Just a little more refreshing. It’s very lovely, indeed. The muscatel that Darjeeling lovers look for is there, too. It is a pleasant musky, almost wine/grape-like flavor. This tea possesses an earthy nature that is woodsy but not rustic. There are floral notes as well, with a hint of fruit that lingers in the background. It is beautifully complex and seems to sparkle on the palate. Darjeeling is a tea that I prefer hot because I feel like the flavors and the complex layers are better enjoyed when the tea is hot. As the tea cools, those layers of flavors become somewhat muddied and dull, and much of that complexity is lost. It is also a tea that is best served straight with no milk or sugar. It has its own pleasant sweetness that would be overwhelmed by the addition of anything else… although sometimes a very thin slice of lemon is quite nice and brings out some of the fruitier notes of this tea. This is one of the finest Darjeeling teas that I’ve ever tried, and one I would recommend to all tea lovers, especially those who are curious about learning more about Darjeeling teas. 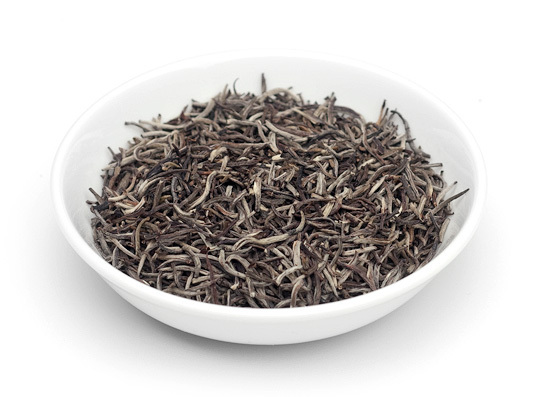 The subtle nature of this tea would be a nice way to introduce some of the unique characteristics of a Darjeeling tea. And if you’re a Darjeeling aficionado like me, you’re in for a treat with this tea. It’s an absolute MUST TRY. Great Post. I really liked this tea. Have you tried the White Tiger blend from East Pacific Tea?